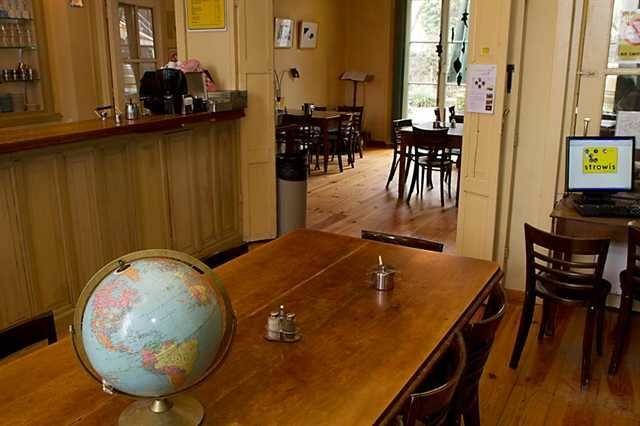 Hostel Strowis is located in a listed seventeenth century building which still contains some of its original details such as chimneybreasts and shutters.We offer a choice of beds in a large dormitory sleeping fourteen, or in smaller rooms with eight, six or four beds. 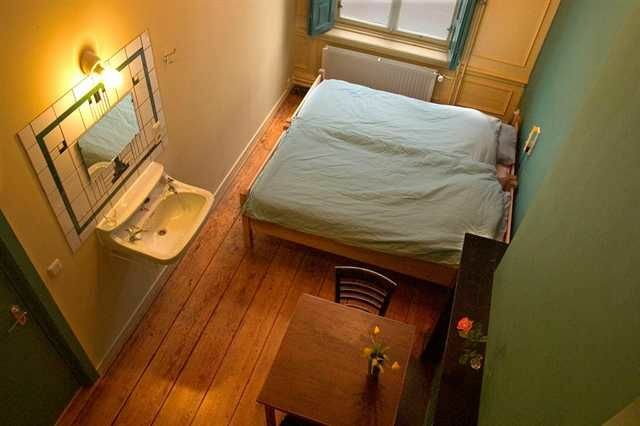 For those looking for a little more peace and quiet, double and single rooms are also available. On request we can provide a seperate room for female guests.On the ground-floor is Strowis' heart, the foyer, where guests can have breakfast, read or just chat. There is a small library which also contains travel information. On the computer in the foyer you can surf and mail for free. There is also a wireless connection available. From the foyer you've got a good view on the beautiful garden. Guests can rest here near the pond after an exhausting day.Please note:Check-in from 8:00 - 24:00Check-out by 11:00Cancellation policy is 1 day in advanceWe accept payment by cash & credit cards.The door is closed Sunday to Thursday at 2.00 a.m. and Friday and Saturday at 3.00 a.m. Guests under 18 are not permitted in the dorms.Double rooms can be booked by single individuals covering the full room's price. Triple and/or bigger (private) rooms for groups are available on request. 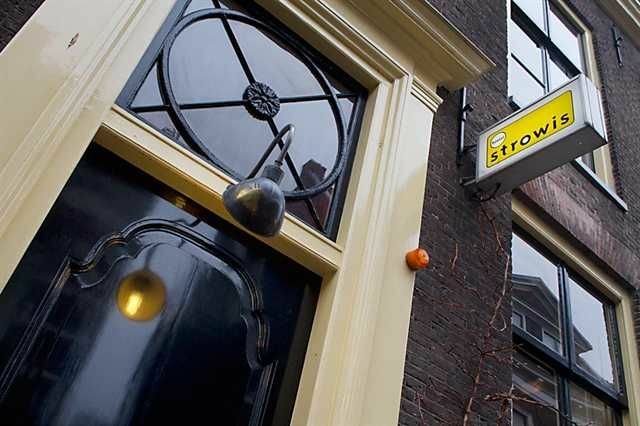 From Utrecht Central Station:On footHostel Strowis is a 15 minutes walk from Central Station.Coming from the trains, go upstairs to the station hall. Follow the signs 'Hoog Catharijne/Centrum' and later on 'Binnenstad/ Vredenburg'. At the end of the shopping centre take exit 'Clarenburg' (straight ahead, down the escalator). Cross the square to the left, and turn right into the Lange Viestraat. Cross the bridge over the 'Oude Gracht'. At the 'Neude' -square turn left into the Voorstraat. The Boothstraat is the third street on your right.By busFrom the trains, follow the signs 'Stadsbussen' (city buses).City buses will take you every 5 minutes.Take line 2, 4, 8 or 11 and get out at busstop Janskerkhof.